Product categories of Steel Umbrella Anchor, we are specialized manufacturers from China, Steel Umbrella Anchor, Steel Ground Anchor suppliers/factory, wholesale high-quality products of Ground Anchors R & D and manufacturing, we have the perfect after-sales service and technical support. Look forward to your cooperation! Steel Umbrella Anchor is one type of Stable Umbrella Anchor for supporting kinds of umbrellas in outdoor. If you want to install one umbrella in your garden or farm, you should choose steel Umbrella Anchor that's made by carbon steel Q235 and the strength is very strong and the surface treatment is hot dipped galvanized so that the steel umbrella anchor is no rust, no corrode, no chip, no peel. 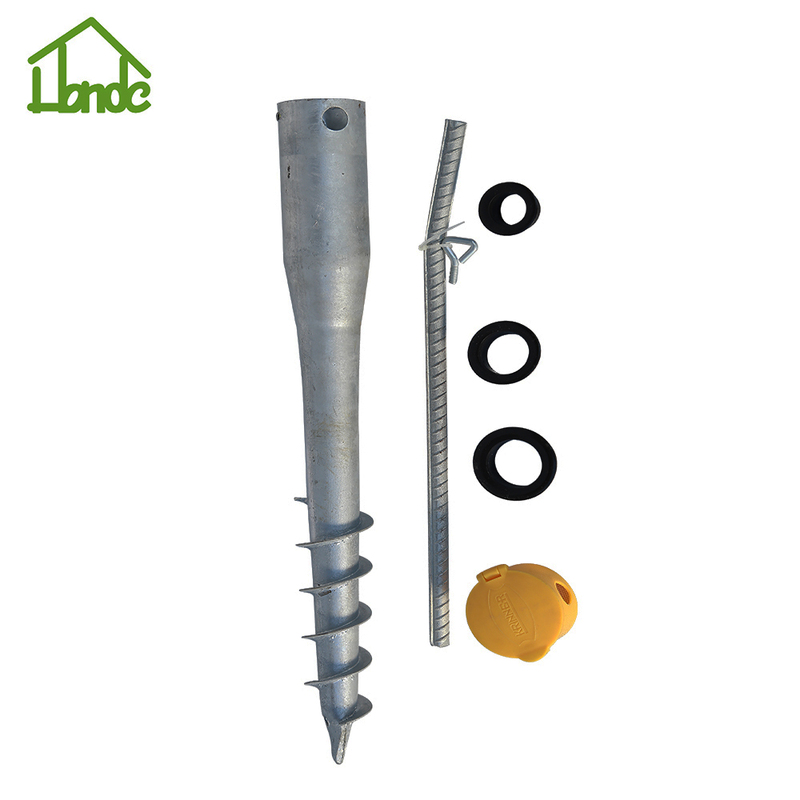 Steel umbrella anchor can be named as small Ground Screw Anchor because Small Ground Screws is good choice as Foundations.